Volkswagen Driver Access Program is geared toward reimbursement for vehicle modifications for drivers with physical limitations. Volkswagen makes cars, suvs, and wagons for everyone. Lindsay Volkswagen of Dulles is committed to assist customer and families who may need modifications to their vehicles to accommodate physical challenges. Similar to the Graduate and Military Discount Program, the mobility access program is designed to help make it easier for customers to purchase or lease a new Volkswagen vehicle. 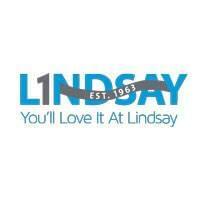 Lindsay Volkswagen is committed to working to help ensure everyone has access to drive a German engineered auto! *New Volkswagen vehicles purchased or leased through Lindsay VW are eligible for up to $1,000 reimbursement to the purchaser for modifications made.